In this fast paced world, where mutual trust is dwindling, you must secure any property-related agreements by means of a legally binding contract in an acceptable format and a rental agreement is no exception. Whether you’re a landlord owning a property or a tenant looking to rent a property, it’s important that you make use of a valid rent agreement format inclusive of all the important clauses that can serve the purpose of a reference document for all the parties involved. The rent agreement should be error-free to protect the interests of both the parties and the document should serve as a collaborative evidence in case of a dispute. Use our easy to navigate interview questionnaire, fill in the required fields and you will have the most up to date rental agreement ready to print in minutes!!! 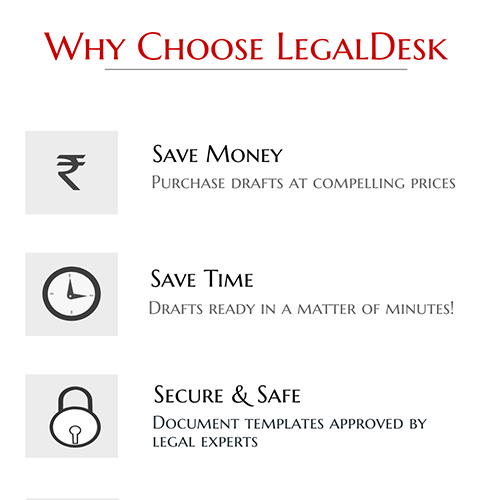 At the end of this process, we will also tell you what you need to do to make this agreement legally valid. When To Use Rent Agreement? While letting out or renting a house, apartment or commercial space for rent. To have a formal written agreement with your landlord or tenant. What Does A Valid Rent Agreement Should Cover? How To Make It Enforceable And Legally Valid? Once you’re ready to print the document, follow the checklist below for an error-free agreement. The document needs to be printed on Stamp Paper of a recommended value. Ensure both the parties (landowner and tenant) sign at the bottom of each page and at the end. Signature of the witnesses along with name and address. Include details of fixtures and schedule of the property as an attachment. 1. What happens if I rent without an agreement? There needs to be a legally valid documentation of the terms and conditions of the rental agreement. The lease agreement or rent agreement needs to be in a specific format as per certain convention and laws. Failure to have a rent agreement signed by both the parties will lead to legal inefficiencies in the case of a dispute. 2. What is the stamp duty denomination? A stamp duty paid rental agreement is considered a proper and legally valid document, has evidentiary value as it is admitted as documentary evidence in courts. The rental agreement draft should be printed on a stamp paper of suitable stamp value according to the Stamp Act of each State to make it legally valid. 3. Why is a rental agreement only for 11 months ? It is rather a convention that is being followed by landowners to seal rental/lease agreements only for 11 months to avoid registration of the agreement with the local competent authorities. A rental agreement exceeding 11 months in tenure should be mandatorily registered to make it executable under the Registration Act of India. To avoid these formalities, agreements are made for 11 months and extended as per mutual consensus of the parties involved. 4. Can landlord visit the premises without tenant’s permission during the term ? No, not without permission of the tenant. The landlord and/or his associates have all the rights to visit and inspect his property during the term of the rental agreement. This clause should be documented in detail and sufficient notice should be provided by the owner to the tenant before visiting. 5. Is the rental deposit paid at the time of signing the agreement by the tenant to the landlord strictly 10 months of rental value? There is no specific provision under rental laws on the initial deposit amount. 10 months advance is more of a convention that is being followed. In cities like Bengaluru, landlords usually charge 10 months deposit upfront, but the same can be 2-3 months in Hyderabad. One can always negotiate. 6. If I am renting an apartment, am I obligated to pay the maintenance charges? This is valid. The charges paid towards maintenance are generally for up-keeping the apartment complex and maintenance of common facilities like clubhouse, swimming pool and others, in addition to the salaries paid for security, housekeeping etc. Generally, the occupant (tenant) of the flat is liable to pay the maintenance charges as he would be utilising the common facilities. Otherwise, the owner can pay the maintenance charges to the association and collect it from the tenant. But all these terms should be mentioned in the agreement. 7. What would be the notice period for early termination of the rental agreement? Generally, it’s anywhere between 1 to 3 months to either parties to vacate or be asked to vacate the premises. This clause needs to be clearly documented in the rental agreement with a common consensus. 8. Is the tenant allowed to make structural and cosmetic modifications to the property while the rental agreement is in force? The tenant shall not make any modifications to the structure without the prior approval of the landlord. Any acceptance to make changes should be written and signed to avoid any conflicts or disputes in the future. 9. Should rental agreements be notarised? No. In India, it is not mandatory to notarize a rental agreement. 10. 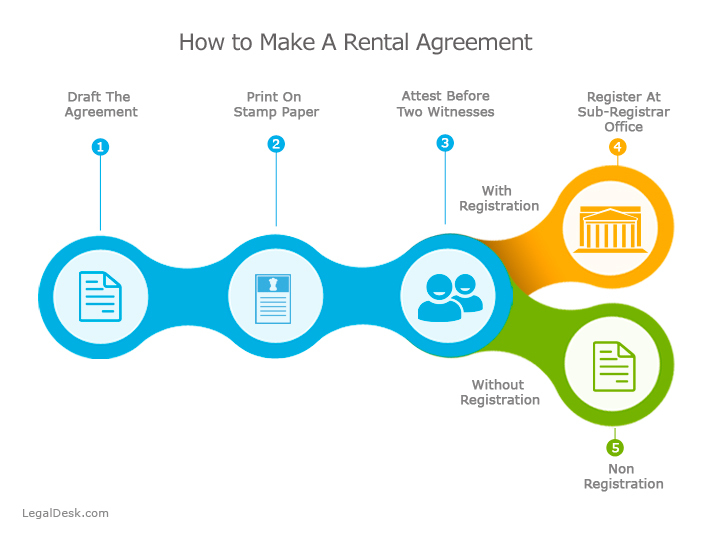 Can I make a Rental agreement after I move in? Yes, you can make the agreement during the lease period, but make sure that the landlord and the Tenant are trustworthy. Always make any lump sum payments through cheque or net transfer, since there is no agreement immediately. But within one month, try to get the agreement done. It is very risky to continue for the whole term without the agreement. So, if your landlord is refusing to make the agreement even after one month then it is advisable to stop paying the rent and move out.